WinX DVD Player is a full-featured and easy to use DVD, Video CD, Audio-CD and mWinX DVD Player is a full-featured and easy to use DVD, Video CD, Audio-CD and media file player. ?The player features volume, play speed and brightness control for movies. 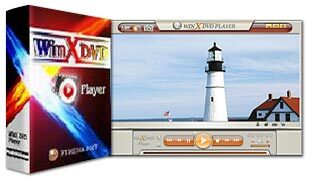 You can play more than commercial DVDs: Winx DVD player supports most popular video and audio formatsincluding IFO, DAT,AVI, VOB, WAV, MPEG,WMA;WMV,ASF,RMVB and DivX. ...... channel etc. through these setting, you can get fairly different video and audio effect. In new version, we use more powerful technology to ensure that you enjoy the natural and vivid video effect. Qweas is providing links to WinX DVD Player 3.1 as a courtesy, and makes no representations regarding WinX DVD Player or any other applications or any information related thereto. Any questions, complaints or claims regarding this application WinX DVD Player 3.1 must be directed to the appropriate software vendor. You may click the publisher link of WinX DVD Player on the top of this page to get more details about the vendor.